Tamalyn Dallal has done nearly everything in her 42 year Middle Eastern dance career. She has performed for stars such as Sean Connery, Michael Jackson and James Brown, the president of El Salvador, Saudi Arabian princes, and the King of Jordan (to name a few). Directing the Mid Eastern Dance Exchange, a non profit organization, dance school and performing company, from 1990- 2007, she taught and mentored dancers such as Amar Gamal and Bozenka, Virginia and others. She organizes the Orientalia International dance festival and produced numerous theatrical productions. Crowned "Miss America of the Bellydance" in 1995, she has performed and/or taught in 44 countries. She was one of the original "Bellydance Superstars", has written three books, produced two music CD's of Africa's oldest band, the "Ikhwan Safaa Musical Club of Zanzibar", and currently films ethnological dance documentaries; Zanzibar Dance, Trance and Devotion, was completed in 2011. Ms. Dallal released "Ethiopia Dances for Joy" in 2013. 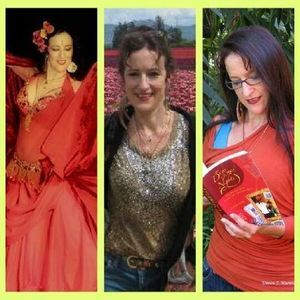 She now lives in New Orleans, Louisiana and teaches workshops internationally, including a month long workshop in Shanghai, China, which she has been conducting for ten years.